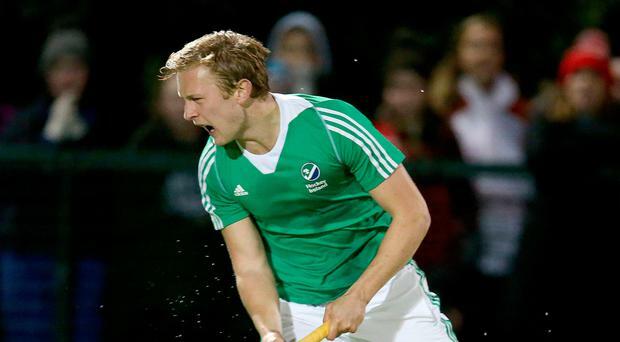 Instonians have set out their stall to qualify for the EY Irish Hockey League's top tier next season and believe that the close season additions of coach Stephen Watt and striker Michael Watt will help them achieve their target. With the domestic season starting on Saturday in a restructured Ulster Premier League with 13 teams, all eyes will be on Inst this term to see if the two Watts can turn the potential at Shaw's Bridge into a trophy winning combination. Former Ulster Hockey High Performance Manager Stephen arrives at the Belfast club with an impressive coaching CV and has backroom back-up from Mark Evans and Jonny Quigley. The return of striker Michael - after featuring abroad, in England and a brief spell at Lisnagarvey - should add goals to an already potent attack. With Ross Blair and Michael Keane returning from Queen's, and Sammy Clyde and William Carey joining from Antrim and Lisnagarvey respectively, you can envisage why optimism is high. The main route to the IHL's top flight is through the new All-Ireland second tier, which starts next month, and Inst find themselves in a pool alongside Ulster rivals Kilkeel, Leinster's Corinthian and Munster's UCC. But it's Kilkeel and Bangor who represent the biggest threat in the Ulster Premier League, just as they did last season. Premier champions Kilkeel won't have Irish Under-21 star David Rae who has joined Banbridge, where he'll get his first taste of the IHL. However, it's not all bad news - Mossley's David Glenny has rejoined them as they not only defend their league, Kirk Cup and Anderson Cup titles, but target the new IHL2. Bangor, with Stephen Parker again at the helm, are hoping to achieve top IHL status for the first time and have snapped up Ulster's top marksman last season, Chris Barnes from Instonians, as well as Adam Tweed from Belfast Harlequins, Harry Dow from Mossley and Jason Roe from Antrim. None of the 'big three' - Kilkeel, Bangor and Inst - feature this Saturday as they all have representation in the Under-16 and Under-18 inter-provincials, which take place at Cork C of I's ground over the weekend. The IHL's top tier - which includes Annadale, Banbridge, Cookstown and Lisnagarvey - start a week later than the domestic programme. Finally, Annadale's Peter Caruth is in charge of the Ulster Under-16s for the inter-pros in Cork, while Adam Louden looks after the Under-18s - both take on Munster on Friday evening, Leinster on Saturday and then both Munster and Leinster again on Sunday.